Sometimes when I burn a scented candle, I feel like a modern-day Pavlov is experimenting on me because instead of salivating to the sound of a bell, I’m drooling over yummy fragrances. 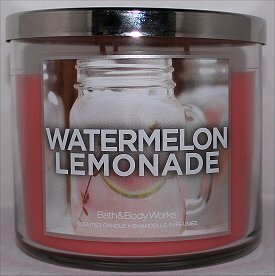 It’s uncharacteristic for me because I usually don’t go crazy for artificial-watermelon scents. But this one hooked me! This entry was posted in Candle Reviews, Fragrance Reviews, Product Reviews and tagged Bath & Body Works on September 5, 2013 by Mary S.. But one day, when I was browsing the stores with the guy I’ve been dating, we ended up ducking into that dangerous store of addictive aromas. 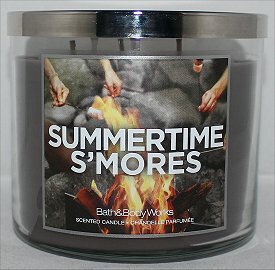 I made the mistake of smelling this Bath & Body Works Summertime S’mores Candle. This entry was posted in Candle Reviews, Fragrance Reviews, Product Reviews and tagged Bath & Body Works on June 18, 2013 by Mary S.. It should come as no surprise that I’m a huge fan of anything with pumpkin in it. 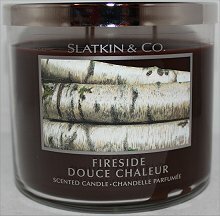 This entry was posted in Candle Reviews, Fragrance Reviews, Product Reviews and tagged Bath & Body Works, Slatkin & Co. on March 9, 2013 by Mary S..
Whoa – it’s been quite some time since I reviewed a scented candle on here! 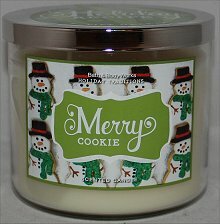 The most recent one I’ve been burning is the Bath & Body Works Merry Cookie Candle, which (obviously) came out around Christmas. Although it’s harder to find now, you can still spot a few on clearance. The packaging is cutesy, and the scent will have you drooling like one of one of Pavlov’s dogs! This entry was posted in Candle Reviews, Fragrance Reviews, Product Reviews and tagged Bath & Body Works on January 18, 2013 by Mary S.. 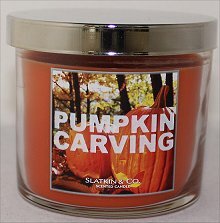 This review on the Slatkin & Co. Pumpkin Cupcake Candle from Bath & Body Works was a long time coming. You see, before it was even released in stores, I ordered it from the website when I found an amazing 30% off coupon code that could be used on top of the 2 for $20 USD 3-wick candle sale, and the Canadian dollar was strong. I waited. I waited and waited. And then I waited some more. Finally, I decided to inquire about why it was taking so long for my package to arrive in Canada. Turns out, my order arrived damaged at Purolator, so Purolator sent it back to Bath & Body Works in the States. I contacted Bath & Body Works, and they said that I’d need to re-order it. They have good customer service and said they’d honour the sale prices (but not the 30% coupon code). They also offered to give me complimentary shipping. I took all this as a sign that I was supposed to save my money. So I didn’t re-order it. Instead, I thought that I’d just pick up the candle in-store. Well, I stalked Bath & Body Works for weeks, and they didn’t get the Pumpkin Cupcake candle for the longest time. Then…I got very busy and didn’t check. It was only very recently when I went back. And…the salesperson said they were all out of them a long time ago. Seeing my extreme disappointment, she offered to check the back ‘just in case’. This entry was posted in Candle Reviews, Fragrance Reviews, Product Reviews and tagged Bath & Body Works, Slatkin & Co. on November 14, 2012 by Mary S.. Ever since I purchased the Slatkin & Co. Fireside Candle, I’ve been waiting for a cold night to test out this candle. Finally it’s getting colder, so I happily burned this. In the past, I’ve had my doubts about the Fireside scented candle. Many times I would go into the Bath & Body Works store, pop off the lid, and give it a snifferoo. I thought it was gross, but lots of people loved it, and they told me that it smells better when burned than it does cold. Now that I’ve tried it, what do I think? Is it a candle that I’ll be turning to time and time again? Or is this one better left on the shelf? P.S. It feels like it’s been a long time since my last candle review, doesn’t it? 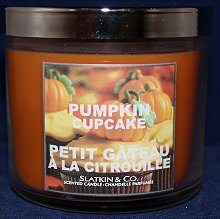 Originally I had ordered the Pumpkin Cupcake candle (along with tons of other candles) during the Labour Day website sale when I found a 30% off your order coupon code that could be stacked on top of the 2 for $20 USD candle deal. The Canadian dollar was strong, so it turned out to actually be a really good deal. But…then Bath & Body Works supposedly sent a damaged package, so Puralator refused the package at their facility and sent it back. I’m now debating whether or not to replace the order. Anyway, so if some of you who I promised that a Pumpkin Cupcake candle review was coming soon are wondering what the hold-up is, this is the reason for the massive delay. I do plan on purchasing that candle, though, so a review on it is forthcoming…just not as soon as I would’ve liked. 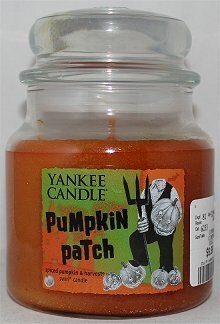 This entry was posted in Candle Reviews, Fragrance Reviews, Product Reviews and tagged Bath & Body Works, Slatkin & Co. on October 8, 2012 by Mary S..
Today I’m really excited to write about the Yankee Candle Pumpkin Patch Candle! This is actually my very first Yankee Candle, so I was pumped like Arnold to try it. 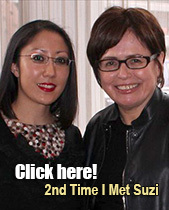 A very heartfelt thank you goes out to my friend, Carmela of Polished Indulgence. She sent me this (along with a sweet card and caramel goodies) as a pleasant surprise that made my day! Wow, can you believe that Hallowe’en will be here before we know it? I’m looking forward to it – it’s my favourite holiday of the year. 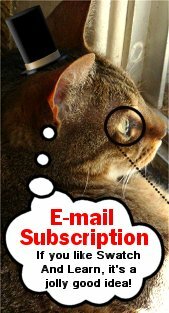 This entry was posted in Candle Reviews, Fragrance Reviews, Product Reviews and tagged Yankee Candle on September 8, 2012 by Mary S..